As mentioned in my post on Chill Winston, Miss Y has embarked on a diet that has certain restrictions. The biggest one of all would be the source of her proteins. Seeing how most restaurants do not state the source of their meat, it severely limits the choices when we choose to eat out. However, shellfish is not a problem for her. 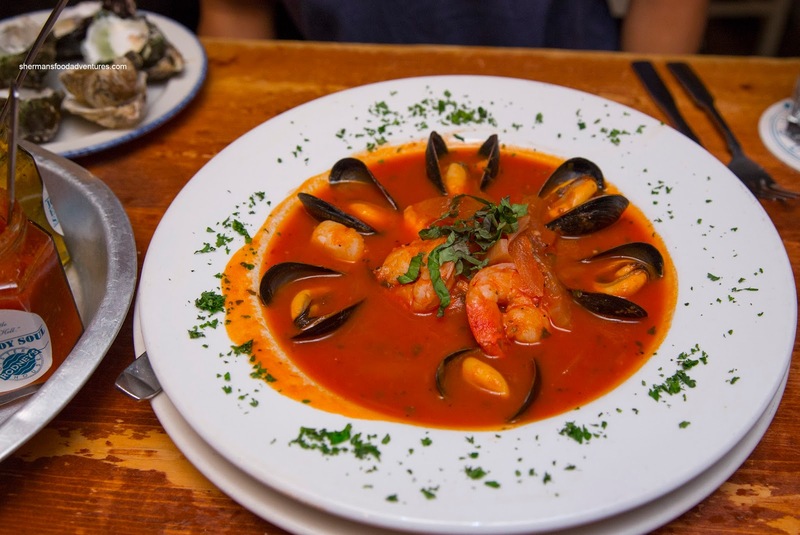 On the other hand, there are not many restaurants that are dedicated to serving mainly shellfish. Well, lucky for us, Rodney's Oyster Bar was still open as we were looking for appropriate eats. 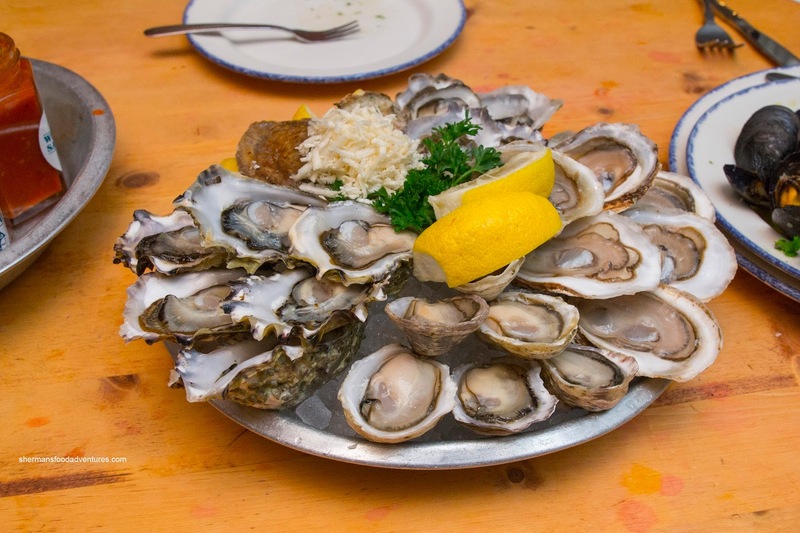 Naturally, we started with a platter of Oysters consisting of Kumamoto, Pink Moon, Kusshi and Lighthouse Point. 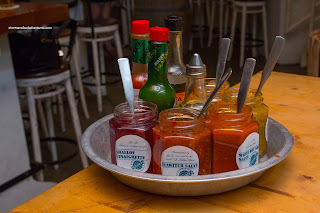 Served on the side were all the usual condiments including horseradish, lemon, hot sauce, Worchestershire and vinegars. For me, I personally love Kusshis and went for them first. They were shucked well with no shell fragments. Buttery, sweet and lightly briny, these went down nicely. Upping the sweetness were the Kumamotos as they barely needed any condiment and were good on their own. The pink moons were the brininest of the bunch. Of course we didn't just order oysters and called it a night (although oysters are rumoured to improve ones' night, Viv you didn't read that!). 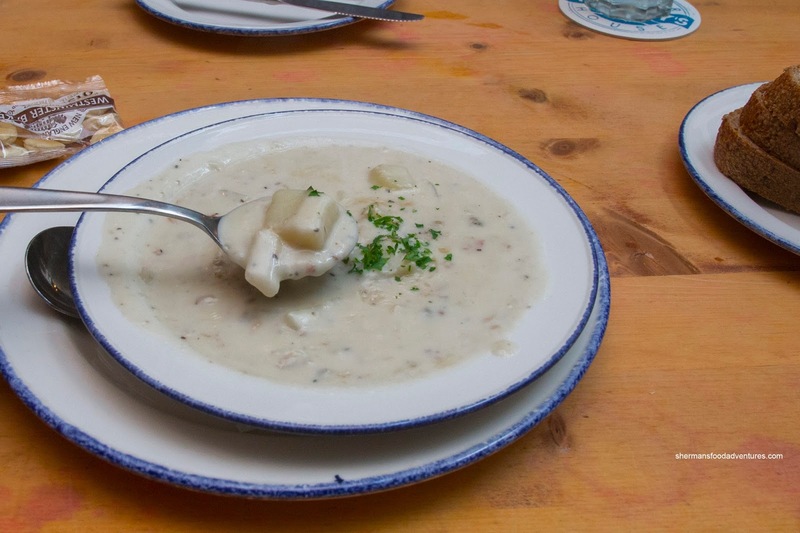 I ended up trying their Clam Chowder which was chock full of tender potatoes and a decent amount of clams. I would've liked a more briny taste to the broth, but it was flavourful nonetheless with the sweetness of onions. I wouldn't necessarily classify the thickness as creamy, but it was hearty though. Onto more shellfish, we got an order each of the Steamed Clams and Steamed Mussels. We asked for them to be prepared simply with butter and natural wine broth. 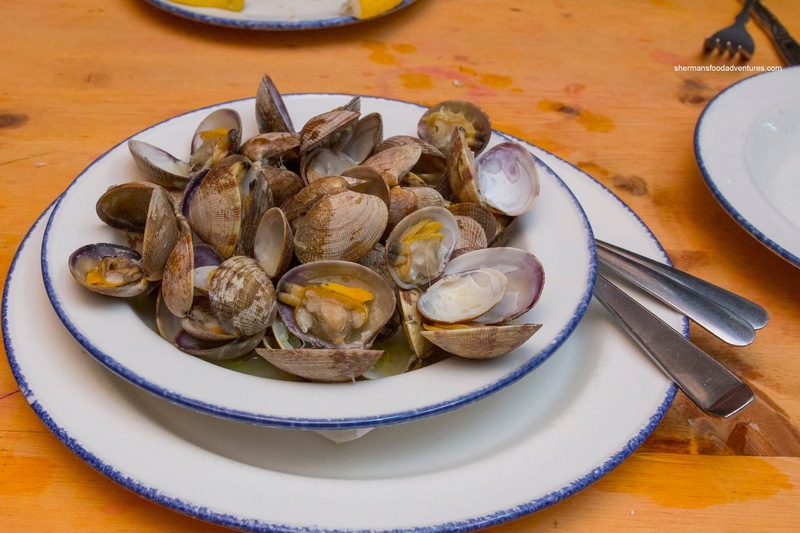 Both were steamed properly where the clams were buttery with an appealing chew. The natural brininess was not interrupted by any unnecessary seasoning. 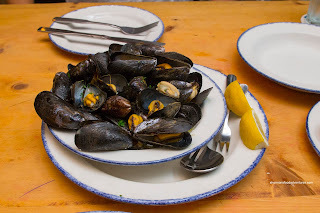 The mussels were buttery and plump. Although both were pretty simple in terms of ingredients, the fact that they were cooked just right made them appealing. 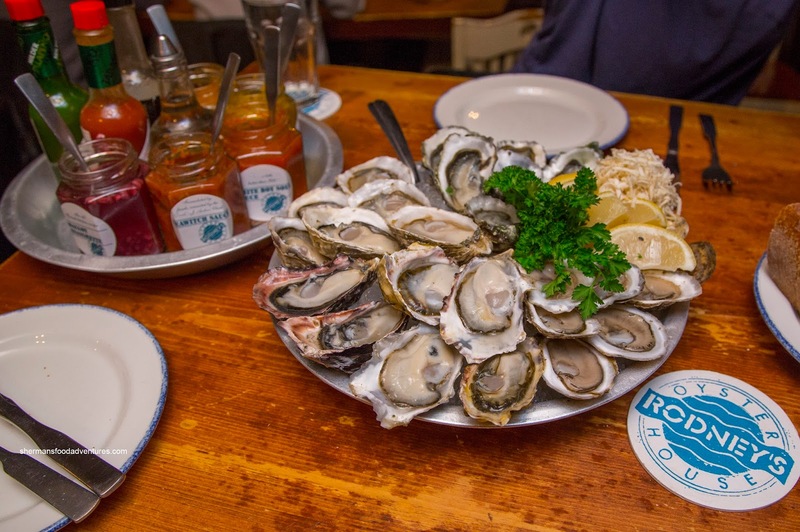 On another visit, we had another helping of Oysters (duh, because the place is called Rodney's Oyster Bar!) that included Village Bay, Royal Miyagi, Stellar Bay and Kumamoto. This was significantly more expensive than last time, but in the end it was worth it. These were all on point being fresh and properly shucked (no shell pieces). I particularly enjoyed the meaty Stellar Bays as they were mildly sweet. On the same note, but softer in texture, the Royal Miyagi were also very good. 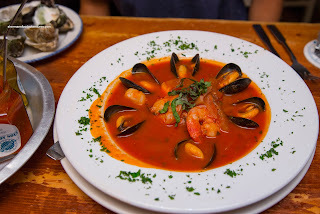 To complete our meal, we also got the Fish Stew that consisted of 2 scallops, 2 prawns, some fish and 7 mussels in a fairly zesty and spicy tomato-based broth. It was hearty where the natural flavours and sweetness of the fish was completely hidden. Portion size was not particularly impressive where we need a bunch of bread to supplement. 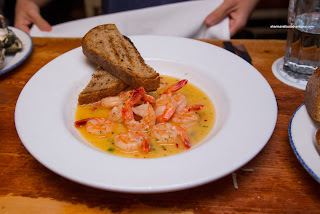 We also got the Garlic Prawns with rested in a buttery and garlicky sauce that was spiked lightly by chili flakes. The prawns themselves had a meaty snap and exhibited natural sweetness. Yet again, this was meant for small appetites (although one couldn't expect too much as seafood is expensive). These 2 revisits pretty much summed up what Rodney's is all about - great place for oysters and shellfish.